Carriage hills is split into three distinct and unique sections: Trails at Carriage Hills, Crossing at Carriage Hills and the Villages at Carriage Hills. Carriage Hills is a wonderful neighborhood for first time home buyers, those looking to invest, and those looking for a smaller home. Carriage Hills lies just a few miles from the wonderful Cedar Park Center where you can see the Texas Stars Hockey Team, a Torros Basketball game, or see a performance by your favorite musician. 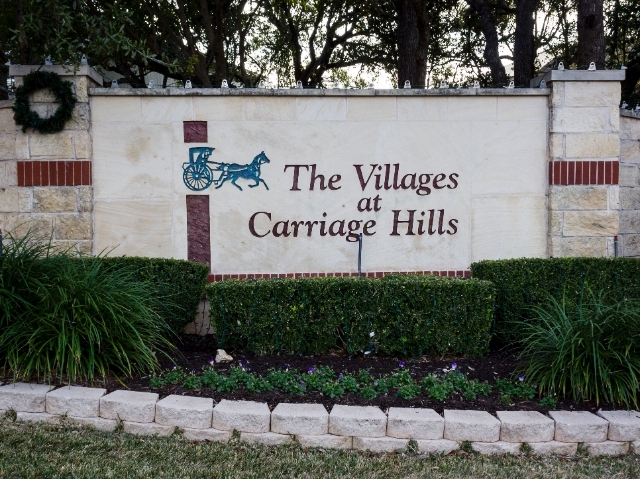 There are multiple parks and a wonderful amenities center specifically for Carriage Hills residents. Come take a look if Carriage Hills might be the perfect place for you!